Avram Finkelstein. 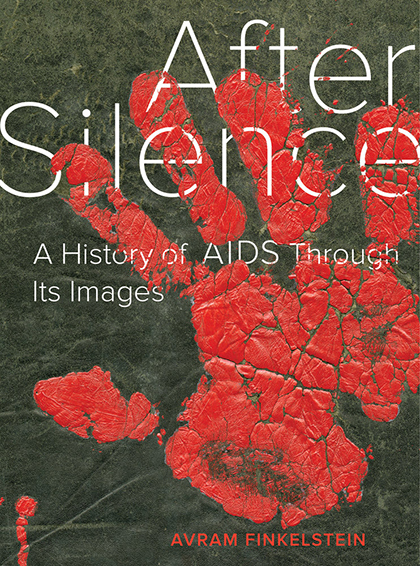 After Silence: A History of AIDS through Its Images. Oakland, Calif.: University of California Press, 2017. 272 pp. The victory march narrative of art history is at its most irresistible with AIDS cultural activism in late 1980s New York. Thirty years after their creation, a handful of iconic images are seared into our psyches as powerful articulations of queer resistance. There is something untouchable about projects such as Silence = Death (1987) and Kissing Doesn’t Kill (1989), for they epitomize the avant-garde ambition to blur art and life, promising us that yes, art matters, art can change the world, art can even save lives. Especially in the context of today’s nightmarish, protofascist world order, we are drawn to these images and relate to their historical contexts in profound ways. Although these compelling visual works played an undeniable role in furthering an emergent political movement, they have also become embedded in well-rehearsed, increasingly mainstream tales of heartbreak and heroism that more often than not revolve around an AIDS Coalition to Unleash Power (ACT UP) cohort of mainly white gay men. Despite the fact that HIV/AIDS remains a salient political issue in the United States and internationally, these images have been used to buttress the grands récits of the early years of the pandemic. Yet their specific complexity, as well as their tender histories and legacies, can be staggeringly difficult to probe. Is it possible to write a history of AIDS cultural activism that not only attends to such nuance, but also halts further institutionalization, canonization, and normalization? And what would it mean to keep these images alive without putting them to bed, to write a corrective history that still leaves room for other narratives? These are the central questions in Avram Finkelstein’s insightful new book After Silence: A History of AIDS through Its Images. It offers more than a detailed genealogy of the various projects he has worked on as they traveled across public spaces and surfaces: posters, stickers, window displays, T-shirts, sidewalks, bus lines, video screens, galleries, biennials, and beyond. Filled with surprises, After Silence is, in equal parts, literary memoir, community history, and political manifesto. Rather than reinscribing himself in what has become a legendary artistic milieu, Finkelstein critically reflects on his own participation and questions the historiography of AIDS cultural activism. In so doing, he illuminates a host of overlooked tensions that were at the core of the Silence = Death collective, Gran Fury, and ACT UP; art versus activism, ownership versus appropriation, collectivity versus individuality, theory versus practice, success versus failure, and power versus powerlessness. A skeptic about origin stories, Finkelstein prefers to focus on migrations across visual culture. Though New York was surely an epicenter of cultural activity during the early years of the AIDS crisis, his book confirms that the field of references in these artistic programs was markedly global. If Silence = Death was a robust call to arms and The Four Questions (1994) a quiet interrogation, the tone of After Silence sits somewhere between the two. While there is no equation for writing history, this generous and generative book will inspire artists, activists, and historians to do the math themselves.